Knowledge development about nutrition, relaxation and advanced breathing techniques. 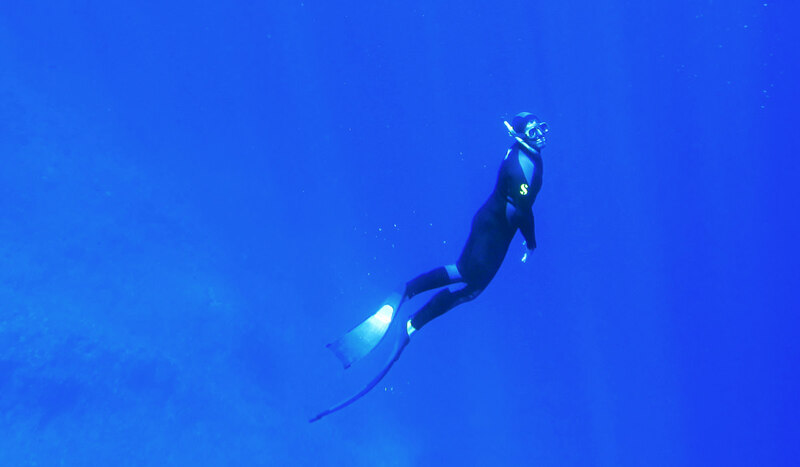 You’ll study independently using the PADI Freediver Touch™ (an interactive study tool that gives you the background information you need to freedive safely). Confined water session to improve static and dynamic apnea attempts, including a no fins dynamic apnea. Goal – static apnea of 3 minutes, 30 seconds and dynamic apnea of 70 meters/230 feet. Open water sessions to practice equalization and perform warm-up and workup dives for free immersion and constant weight freediving. Goal – constant weight freedive of 27 meters/90 feet.